On Thursday night we traveled to Madrid, the capital and largest city in Spain, which is located in the center of the country. It’s a pretty bustling city; the streets are always busy at night, and you have to watch out for pickpockets. It’s not quite as charming as the other cities we went to, but there’s always something to see. On Saturday we visited the nearby Thyssen-Bornemisza Museum, which displays the art collection of the Thyssen-Bornemisza family. 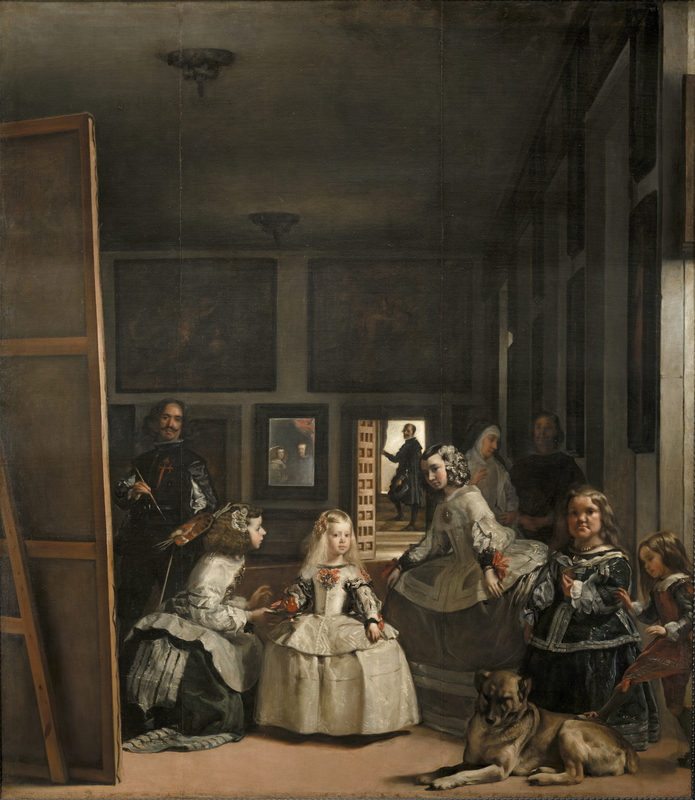 There is a large collection of early European and Renaissance painting, as well as Impressionist and Post-Impressionist and great 20th century painting. 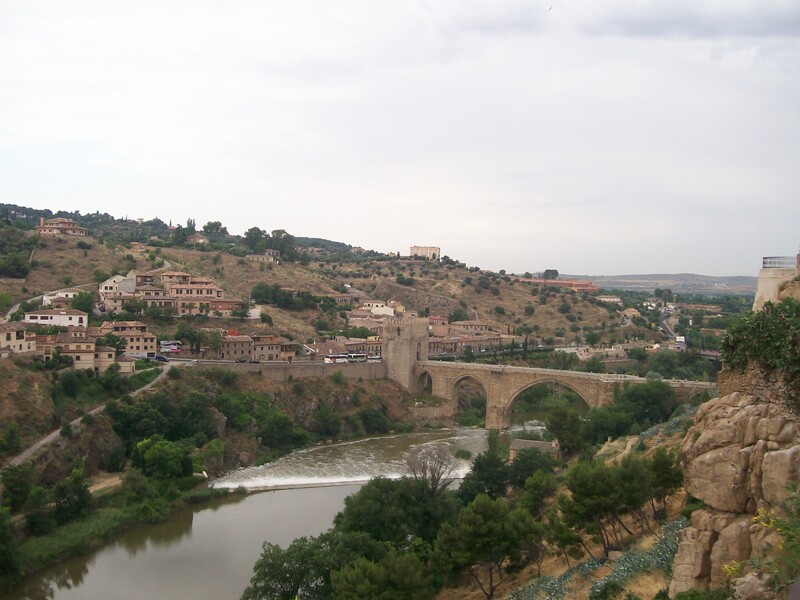 On Sunday, we visited Toledo, about 40 miles south of Madrid. 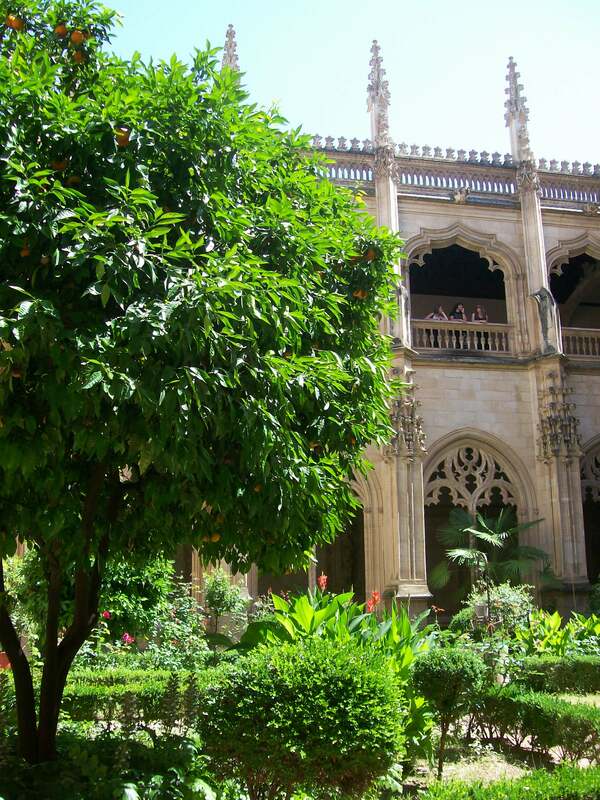 Toledo has a spectacularly rich cultural heritage, as it was a cosmopolitan center of Islamic, Christian and Jewish culture and learning during the Moorish rule of Spain from the 8th to the 15th century, and contined to be to some extent afterward. The city has long been famous for its metal work, and the streets are lined with shops selling replica weapons, jewelery, metal statues and kitchen utensils. Toledo was the home of El Greco during the later years of his life, and we got to see his masterpiece The Burial of Count Orgaz in the Church of Santo Tomé alongside the tomb of the Count himself. 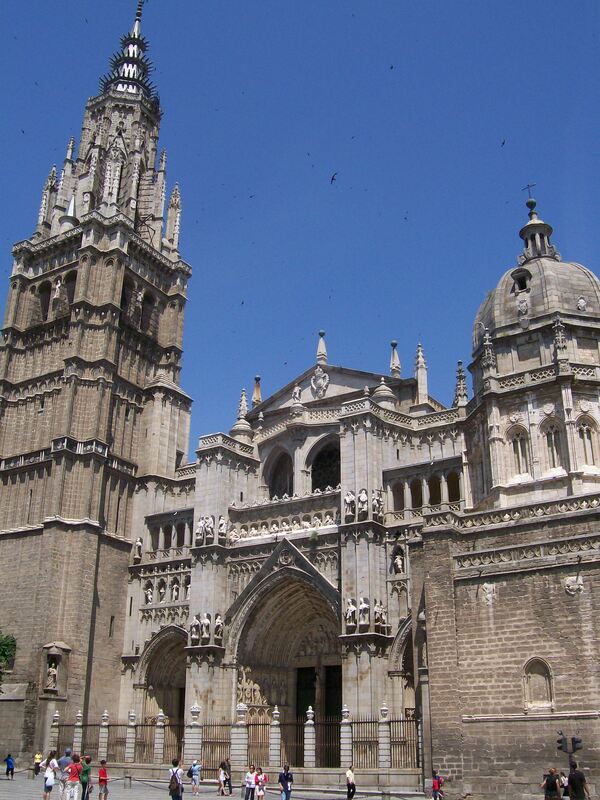 We visited the Catedral de Santa María de Toledo, the Cathedral of Saint Mary of Toledo, and the Monsterio de San Juan de los Reyes, the monastery built by Ferdinand and Isabella to comemorate their 1476 victory at Toro over Portugal, and we walked through the Judería, the Jewish Quarter. 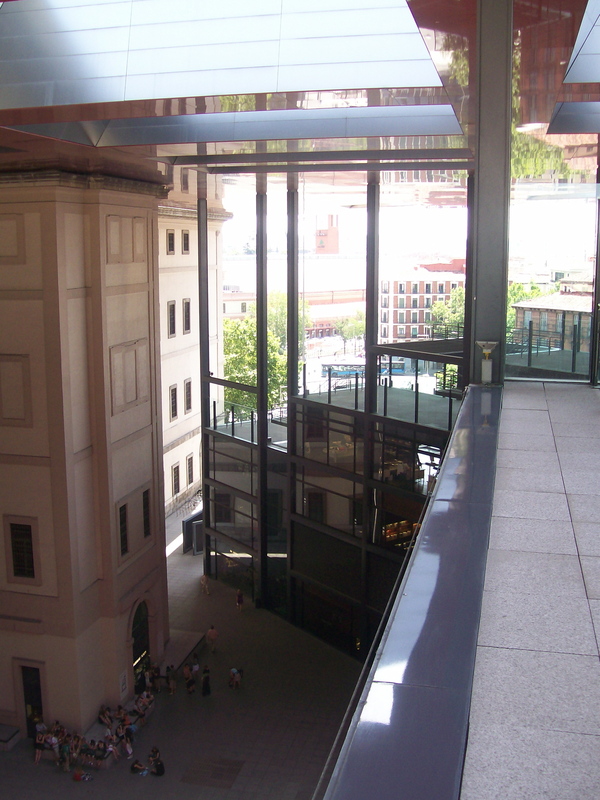 On Monday, back in Madrid again, we visited the Museo Nacional Centro de Arte Reina Sofía (the Queen Sofía Museum), the Spanish national gallery of modern art. 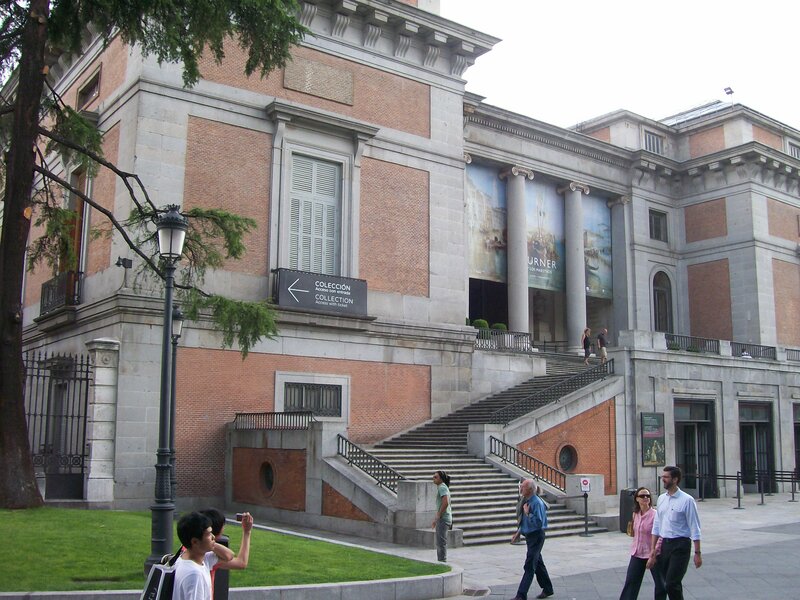 The museum displays works from the 20th century, mainly by Spanish artists, including Picasso and Dalí. 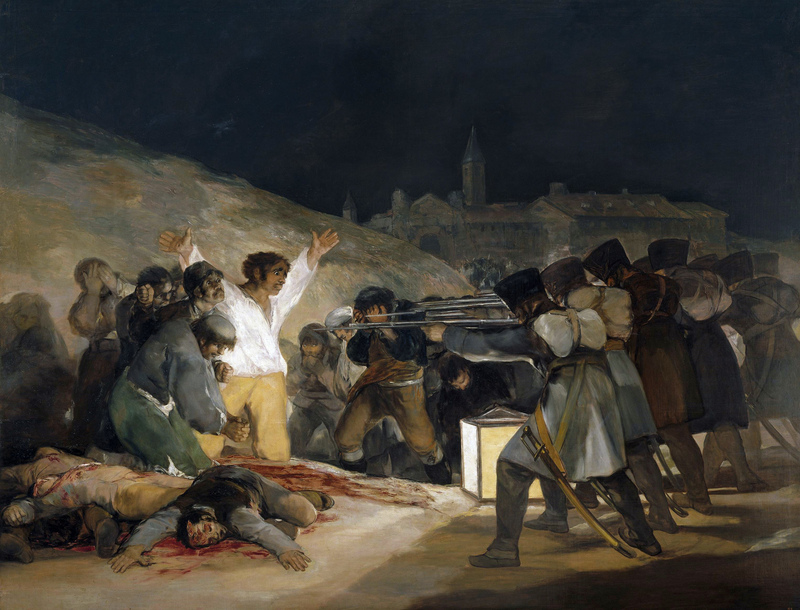 The most celebrated piece here is Picasso’s Guernica, painted in 1937 as a memorial to the bombing of the Republican town of Guernica by German and Italian forces at the behest of the right-wing Nationalist insurgents during the Spanish Civil War. 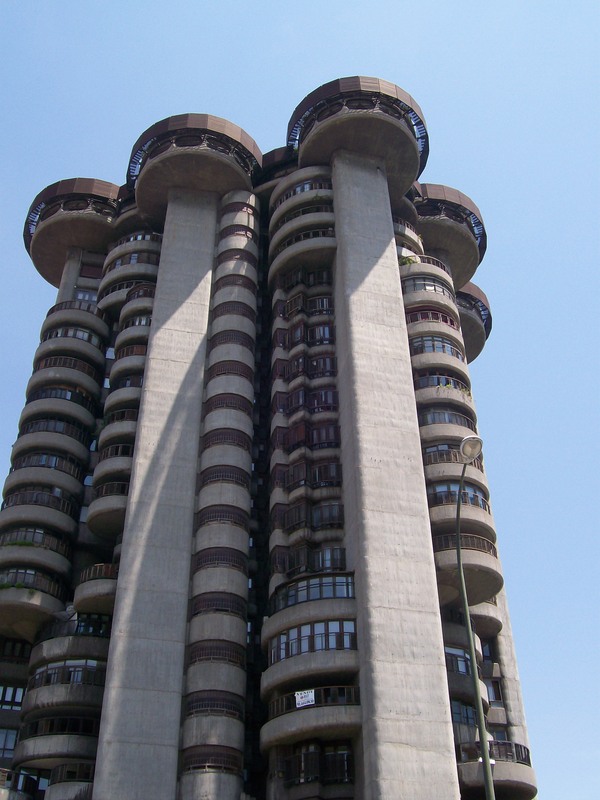 Before leaving, we also stopped a the Torres Blancas, the White Towers, an complex of apartment buildings designed by Francisco Oiza in the 1960s. In the afternoon, we left Madrid and headed north for Bilbao.